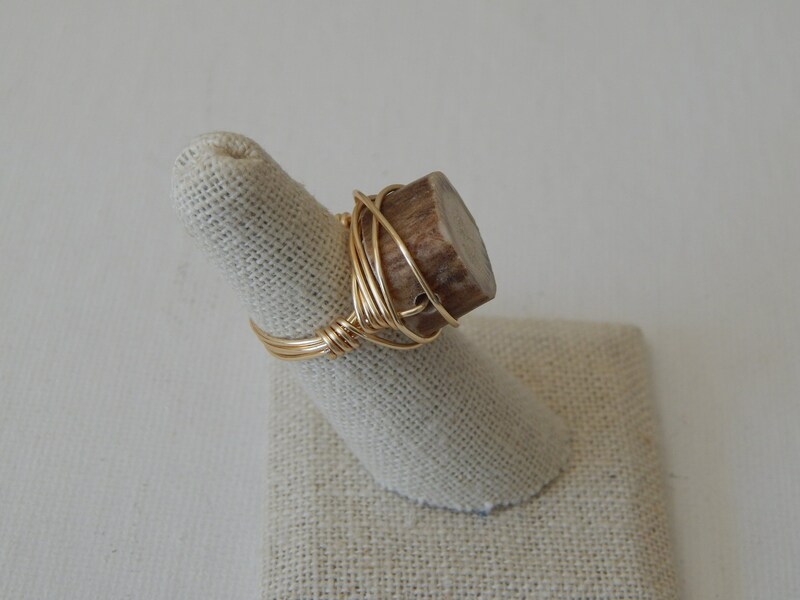 Make a statement in this wire wrapped antler bead ring. 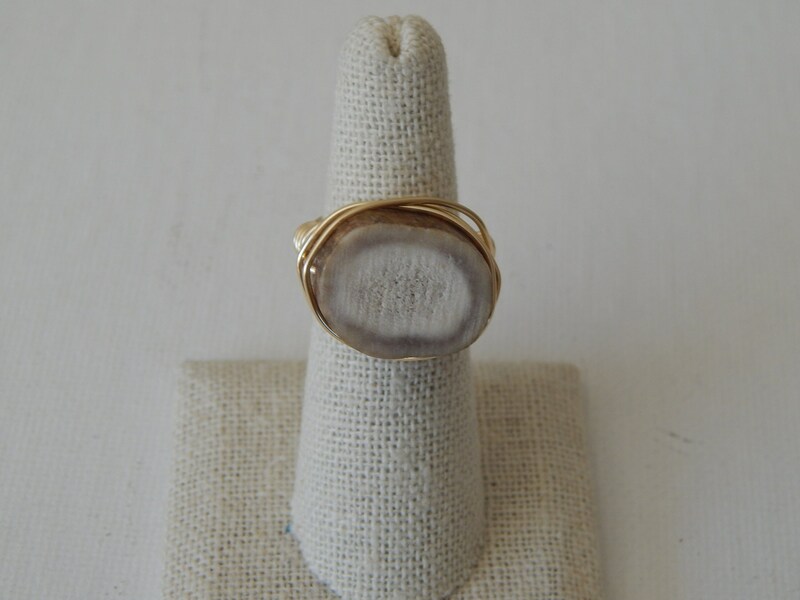 The neutral color can easily be worn with anything and will be your everyday go to piece this summer. 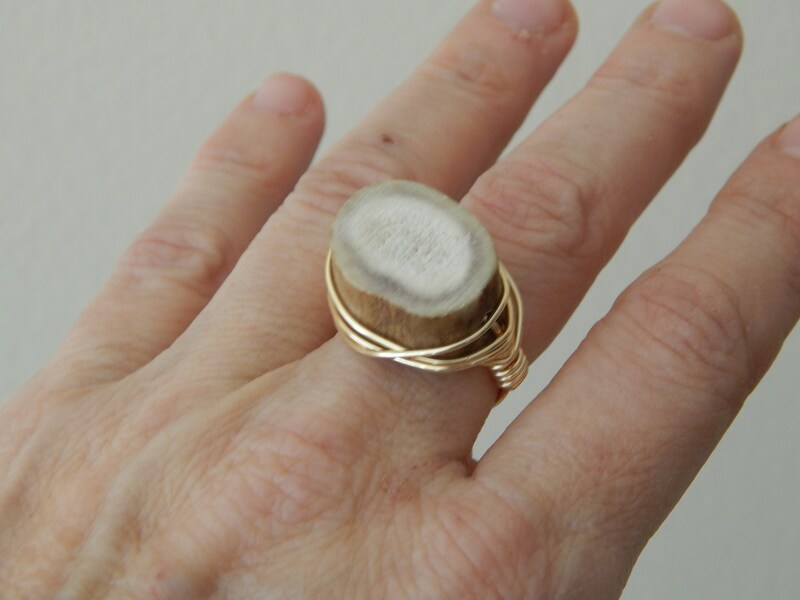 Antler bead size and shape will vary with each ring. The one shown measures 18x14mm and is 10mm thick.